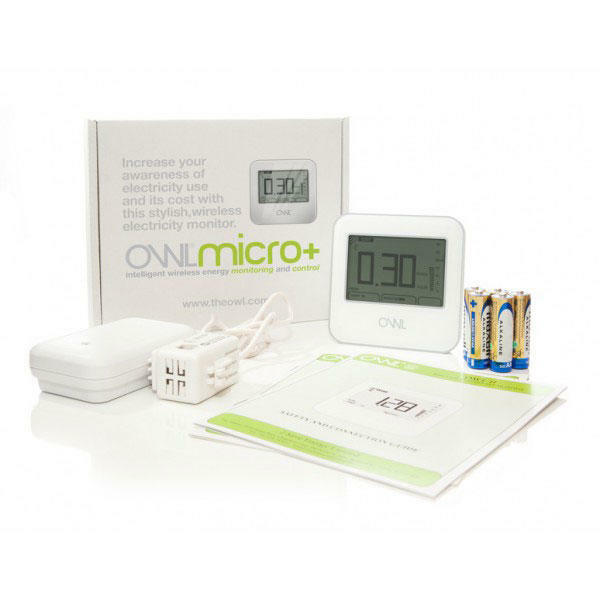 The OWL Intuition-LC allows monitoring of three-phase electricity usage across a property and displays individual readings for each phase. The online dashboard displays live readings to 12 second intervals, and a historical account of your usage, also telling you when you've improved your usage habits. 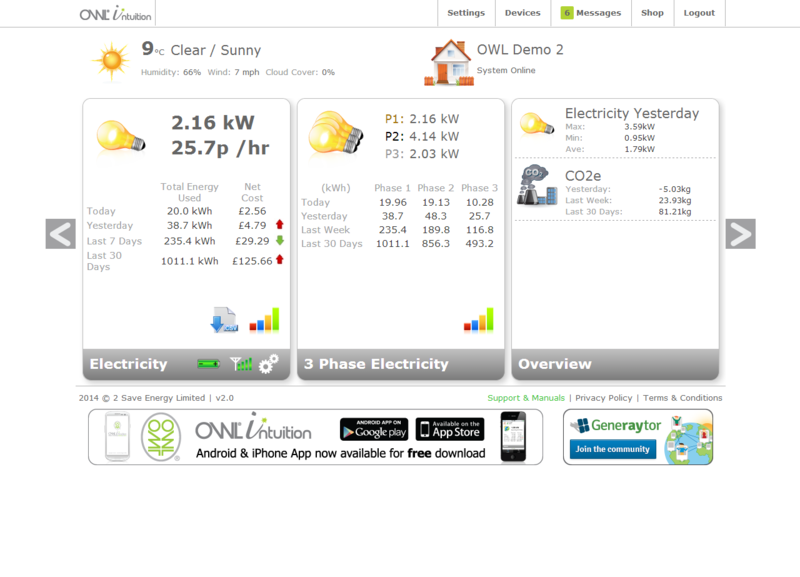 The dashboard can be accessed from any internet enabled device, and apps are available for Android and i-Phone. Configure the tariff to show what you've spent over the course of a day, week, and month and the graphical function shows both current peak and historical usages, allowing you to identify when you've been using the most energy and why, so helping you take steps to reduce consumption. 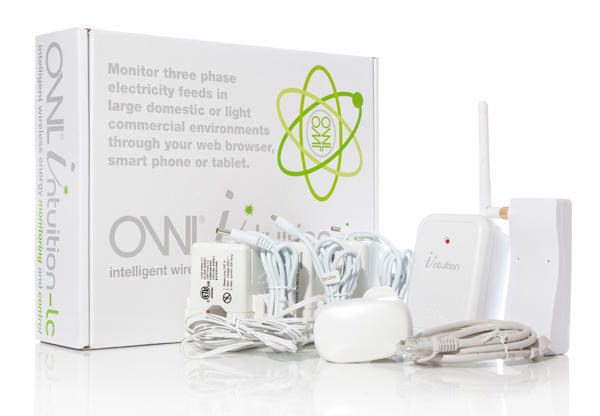 Quick and easy to install, simply plug the Network OWL into your internet router and fit the OWL Transmitter on to the live cable feeding your property. 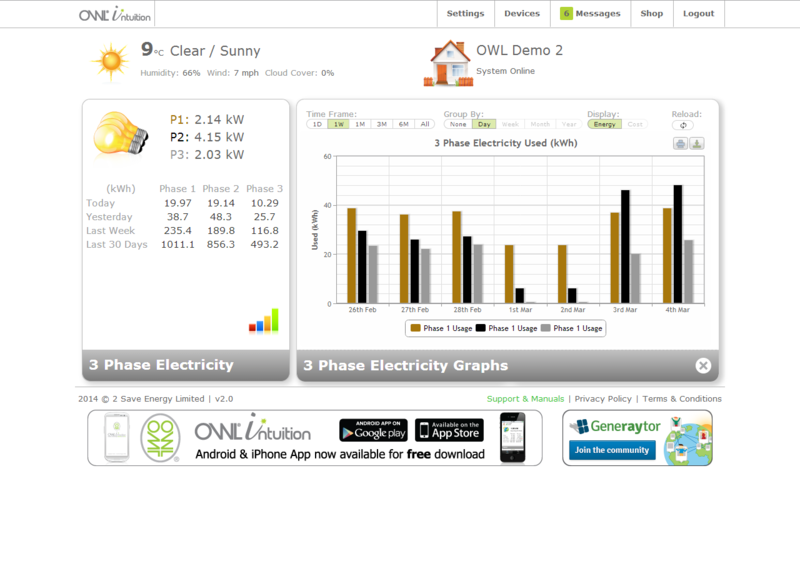 You can then create your OWL Intuition account for access to your data. Large sensors support cables up to 17mm in diameter with a maximum 200A load. 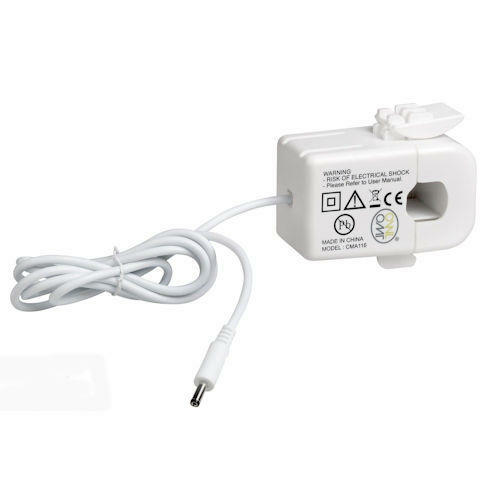 There is a standard sensor version available for smaller electrical supplies (up to 72A and 10mm diameter cables).